Thank you for your interest in the newly expanded North Dakota Heritage Center & State Museum! 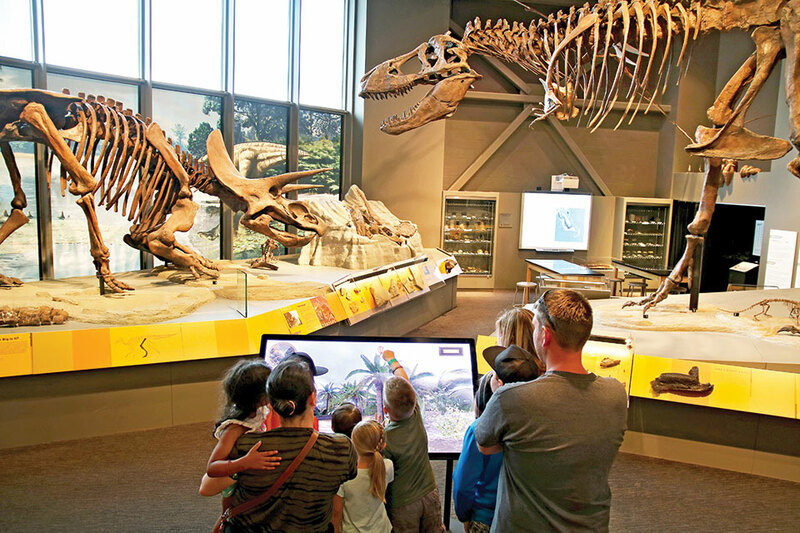 North Dakota’s largest museum features four new museum galleries tracing the state’s rich history from its earliest geologic formation 600 million years ago to the present day. We invite you to experience the beautiful new museum spaces that showcase our people, our landscape, and our current and future development. From dinosaurs to tipis to space suits, we know you will find history for everyone. Let your journey through time begin! Plan your visit to the North Dakota Heritage Center & State Museum. See hours, exhibits, frequently asked questions, and more. Planning to conduct research at the North Dakota Heritage Center & State Museum? Find researcher information for the the State Archives, Archaeology and Historic Preservation, and the Museum Division.